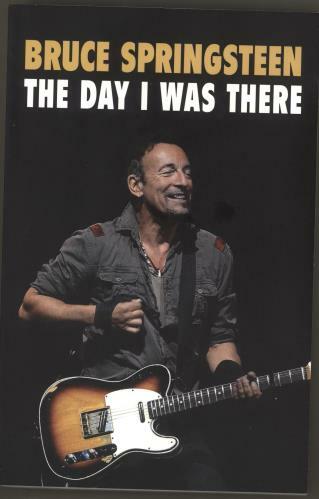 BRUCE SPRINGSTEEN The Day I Was There (2018 UK 400-page softback book by Neil Cossar which features over two-hundred and fifty accounts from fans that have witnessed a Bruce Springsteen live show. From late sixties concerts in New Jersey, right through to his marathon shows from recent times, fans from the USA, UK, Australia and Europe share fascinating anecdotes, stories, photographs and memorabilia that have never been published before. With great picture cover).